UPDATED: Sun., Feb. 10, 2019, 10:24 p.m.
Where does that leave Encarnacion and the Mariners? Well, it’s complicated. The market for him isn’t exactly booming. Most teams view him as a primary designated hitter and a sometimes first baseman. It limits him to American League teams – most of whom aren’t shopping for a designated hitter on a big contract or really even trying to win. Of the Mariners relievers who made more than 45 relief appearances in 2018, only right-hander Chasen Bradford remains on the roster. Seattle parted ways with five of its most-relied-upon relievers from last season – Edwin Diaz, Nick Vincent, James Pazos, Alex Colome and Juan Nicasio. There are a handful of players who are expected to find permanent spots on the big-league roster by the end of the season. 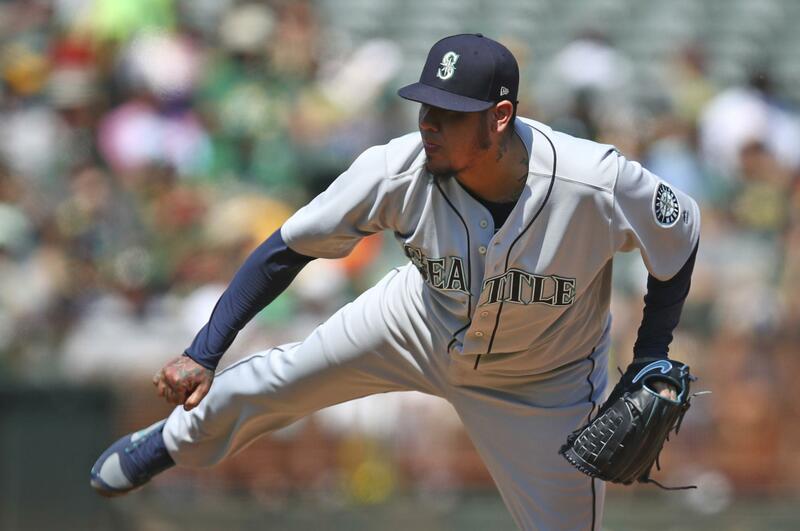 Lefty Justus Sheffield and right-hander Eric Swanson – both acquired from the Yankees in the trade for James Paxton – are expected to make starts for Seattle during the season. They are basically sitting just outside of the projected starting rotation and an injury, a trade or poor performance could push them into it. Bruce, 31, is owed $28 million over the next two seasons. A hip injury limited him to 94 games for the Mets last season where he hit .223 with a .680 OPS, 18 doubles, one triple, nine homers and 37 RBIs. In 2017, he posted an .832 OPS with 36 homers and 101 RBIs. He’s a proven power bat when healthy and could be attractive to teams in need of a left-handed hitter at the deadline. After spending his entire professional career in the organization, this will be the final year that Hernandez wears a Mariners uniform. The seven-year, $175 million extension he signed before the 2013 season is now in its final year. He’ll make $27.5 million in 2019 – more than any player on the roster. Hernandez was less than enthused about how he was handled by Servais and Dipoto in 2018 and has been quiet this offseason. But he vowed to come ready for spring training in 2019 – a promise he’s made in the past. Published: Feb. 10, 2019, 6:32 p.m. Updated: Feb. 10, 2019, 10:24 p.m.